Do want to pick up your order at our place? Make sure you check this choice during the ordering process. This way, we know we don’t have to send the package to you. You receive an e-mail with more information about when to pick up the package in Garderen. When you received an e-mail with pick up information, you’re very welcome at our office in Garderen to pick up your order. Check our current opening hours to ensure that we are there to help you. 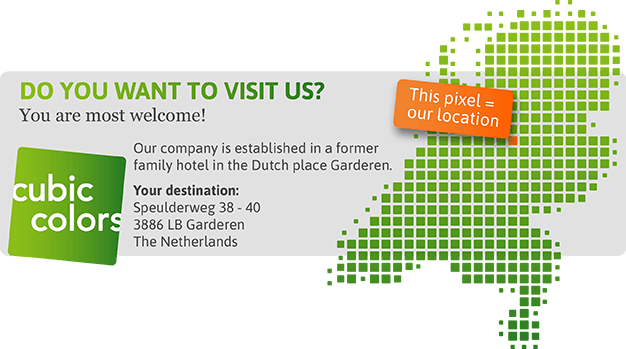 We welcome you to our office in Garderen. Our company is situated in the characteristic building ‘Anastasius’, a former family hotel. And… join us for a cuppa if you like!